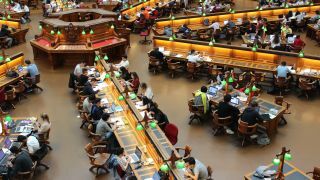 A new report by Eduserv and Socitm has revealed that universities top the public sector cloud rankings with 36 per cent storing at least 10 percent of their data in the cloud. This is followed by public bodies at 29 percent and local authorities at 21 percent though emergency services still lags behind at just 13 per cent. However, 91 percent of public bodies still use on premise data centre storage compared to just a third of local authorities (34 percent) and this number rises to 61 percent of emergency services and 72 percent of universities. The Public Sector Cloud Adoption Report was compiled using data from 633 organisations and interviews with IT leaders across the public sector with the aim of identifying variances in how many organisations have adopted a cloud infrastructure policy guidance or strategy. Public bodies lead with 79 percent having a strategy in place followed by universities at 55 percent. However, just over half of emergency services (51 percent) and 44 percent of councils have adopted a cloud infrastructure policy guidance or strategy. The study also shed light on how the motivations for cloud adoption vary by organisation with universities and public bodies interested in scalability and agility while emergency services are interested in cost savings. IT is being managed differently across types of organisation and the vast majority of universities manage their IT in-house (96 percent) with only one percent outsourcing and three per cent using a hybrid model. Public bodies are outsourcing their IT the most at 20 percent while emergency services are second at 16 percent with local authorities a close third at 15 percent.